Many companies across the world are accelerating their cloud adoption due to the security benefits that Microsoft Azure provides. This is particularly pertinent for small and medium enterprises, which historically haven’t been able to afford the same level of cybersecurity as large enterprises, and yet are more susceptible to cyberattacks. The cloud changes this. Designed to provide the same functionality to SMEs as large enterprises, Microsoft Azure provides SMEs with a highly secure foundation to migrate their workloads to the cloud safely, while at the same time reducing infrastructure security costs. Given that the global Cyber Exposure Index ranks South Africa sixth on the list of most targeted countries for cyberattacks, and another global study suggests that 58% of all breach victims are categorised as SMEs, without access to the same skills and technologies as larger enterprises, SMEs remain vulnerable to attacks. According to Avi Ben-Menahem, director of programme management for Azure Security, Azure provides value in three key areas: a secure foundation that is provided by Microsoft; built-in security controls to help you quickly configure security across the full stack; and unique intelligence at cloud scale to help you safeguard data and respond to threats in real-time. Azure’s protection is built in — it’s there automatically for all customers. Microsoft invests over US$1-billion annually in cybersecurity, including the Azure platform, giving users (from large enterprises to SMEs) the opportunity to allocate IT budgets and resources towards other business-critical initiatives. 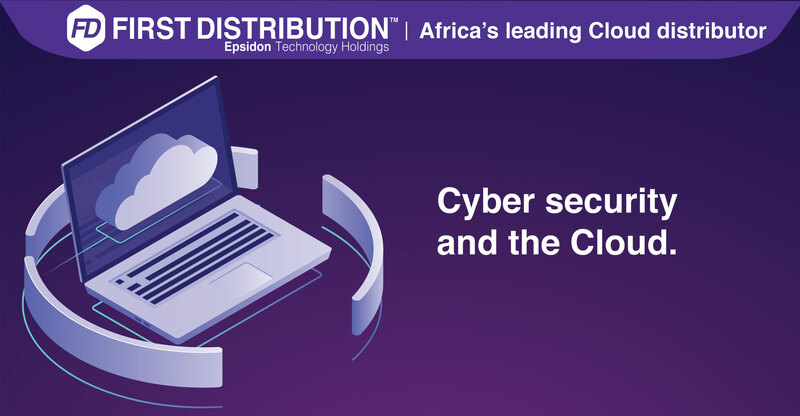 More importantly for SMEs, you get to take advantage of 3 500 dedicated cybersecurity professionals working together across the Cyber Defense Operations Center, digital crimes unit and other teams to help protect, detect and respond to threats in real time. For physical security, Azure has hundreds of data centres in 50 regions, and these have extensive, multilayered protection to ensure unauthorized users cannot gain access to your customer data. Cloud security includes much more than cybersecurity experts and physical controls. The computing infrastructure for Azure is built on customised hardware with security controls integrated into the hardware and firmware components, including secret management and increased hardware-based enclave technology. The extensive network infrastructure has built-in protections against distributed denial-of-service attacks to safeguard your resources against volumetric or protocol layer attacks. Azure DDoS Protection has the operational capacity to scale protection to the largest of workloads and experience, protecting Microsoft services such as Xbox and O365. Since most hackers that attack SMEs do so because they expect SMEs cannot afford expensive IDS and IPS DDoS protection and are therefore vulnerable, this is a significant safeguard against cyberattacks. Microsoft knows that security is an ever-evolving state, so to save you time, its team manages the basics, such as ensuring the servers that run Azure are patched. They actively work to identify vulnerabilities through continuous testing and monitoring and run exercises such as “Red Team vs Blue Team” cyber penetration testing. In our experience at First Distribution, one of the reasons customers choose Azure is the secure foundation it provides, which enables them to put more of their resources towards delivering core value. Even with the secure foundation that Azure provides, security is ultimately a joint responsibility between Microsoft and its customers. When you put your workloads and data on Azure, Microsoft recommends you follow security best practices. Azure has built-in security controls designed to enable you to manage identity and access, secure your network, safeguard data and manage secrets, and unify security management to help prevent and detect threats. You can also extend your existing investments to Azure with the many partner security solutions available in the Azure Marketplace. In a world of evolving threats, the size of the threat dataset is both large and constantly changing. Microsoft’s belief is that we are all working together to combat against cyberattacks, which means we need to leverage collective intelligence to help us keep pace with threats. The Microsoft Intelligence Security Graph brings together signals from many Microsoft products used at massive scale, including data from 450 billion authentications per month, four billion e-mails and one billion devices, all providing the intelligence needed to protect Microsoft’s customers from evolving threats. Azure Security Center’s threat protection helps you detect and mitigate threats with security alert dashboards by combining the Microsoft Intelligence Security Graph with machine learning and visualisations to help you understand the most critical issues, and even quickly visualise a complete attack chain.